As a blogger, I love Instagram. I often take photos of Maxwell and I love nothing more than documenting them on my online photo album. I love looking back to see what we were doing a year ago and I love seeing how my child has changed from a 1 year old to a nearly 4 year old. 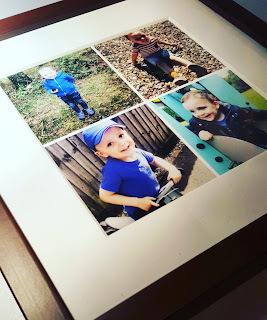 As a busy family, Ben and I often do not have the time to print and share our photos of Maxwell with our loved ones and the photos I take of Maxwell often stay on my online photo album. They stay shared with the world but are often not printed on paper for my loved ones to see and enjoy. This Christmas I wanted to create a special gift for a loved one. I knew what I wanted to create but I did not have the resources to do so however this changed when I was invited to try Cheerz. For anyone that has not heard about Cheerz, they are a fantastic brand who create premium quality photo gifts. The photo gifts which they sell include: posters, magnets, boxed prints and frames prints. Before deciding on what photo gift I wanted to create for my loved one this Christmas, I spent a while looking around the Cheerz website. 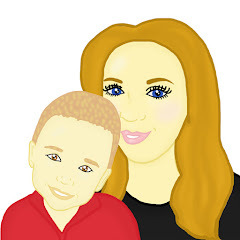 I found the website easy to navigate and I found that each product that was listed, was listed well. There were plenty of pictures to show me what I was buying and there was a detailed explanation to tell me what I was buying. After looking over the large range of options that Cheerz offer to their customers I decided to choose a Little Square. The Little Square gift idea is a simple frame which holds 4 of your favourite photos. Once I had picked the Little Square gift option, all I simply needed to do was sign into my Instagram account and choose 4 key pictures.This took me a matter of seconds. The photos were all the correct size and all had the same edit which enhanced the photo and ensured the photo was ready to use straight away. 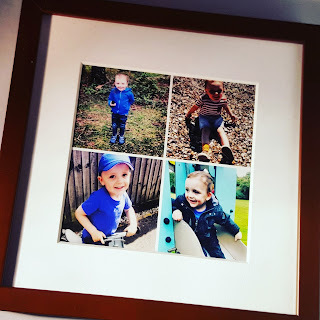 Once I had choose my 4 key photos, all I needed to do was position the pictures on my Little Square and choose the colour frame I wanted. Out of the 3 colour frame choices that were given to me, I decided on the brown frame. I was able to choose from a white and red frame also. Once my Little Square was ordered, it took only a few days to arrive. The order was sent to me by a tracked courier which meant I knew where the order was, I found this service particularly helpful as I was updated via email and it ensured I knew what time my order would arrive on its delivery date. When the order arrived, I could see straight away that it was a high quality item. The pictures which I choose were clear, the frame was strong and overall the finish was fantastic. I felt the Little Square was the perfect gift idea for the loved one I had in mind and I was very pleased about the product that I had been sent. The Little Square has a RRP of £20 which is the price I was looking to spend on my loved one this Christmas. I felt this price was a fantastic price for the quality of the item that I received. *We received the above product for the purpose of this review. All thoughts and opinions are of our own. Never heard of Square gift idea sounds pretty good.